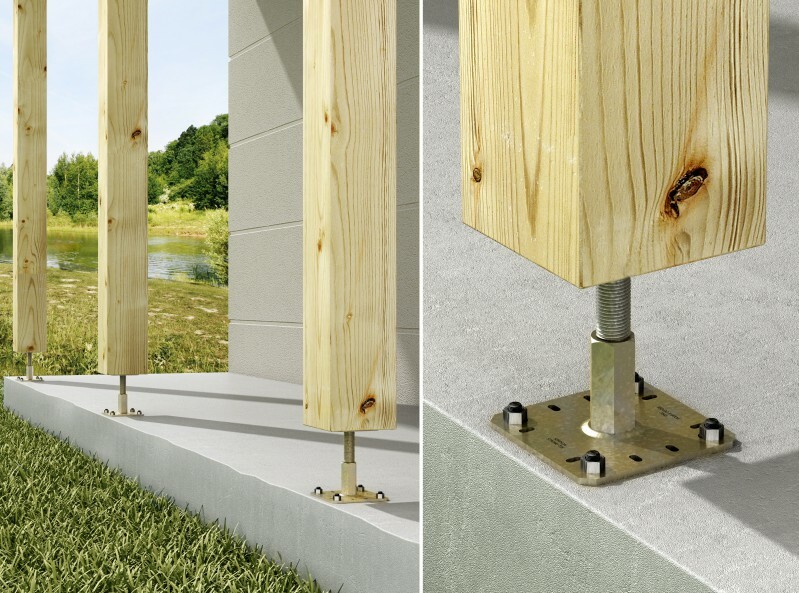 The Simpson Strong-Tie PPRC Dichomate Adjustable Post Support allows for height adjustments in-situ. 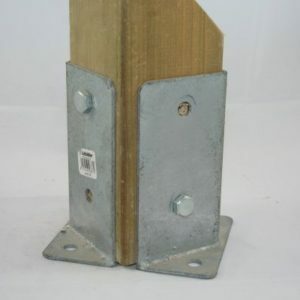 Ideally suited for Awning posts, Pergolas and Verandas this versatile support allows of fine adjustments at any point. 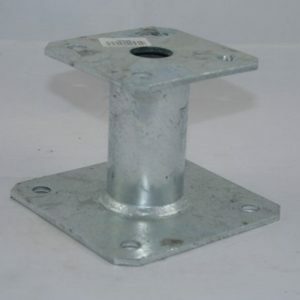 This elevated post support can support an minimum post size of 100x100mm up to a maximum 200x200mm. 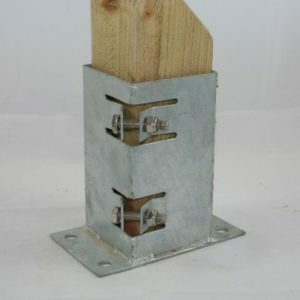 The industrial design of this supports allows for it to be left uncover and made a feature of. 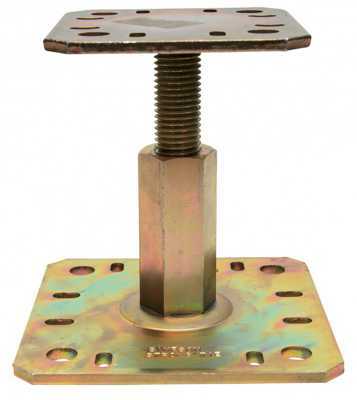 Steel – S235 JR according to EN 10025. Dichromate coating – (Fe/Zn12/C) according to EN ISO 2081. 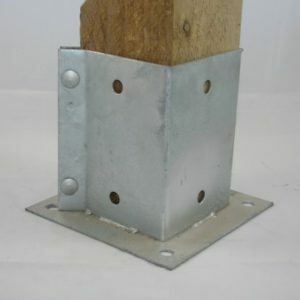 Supporting member – solid wood, glued-laminated wood, concrete. 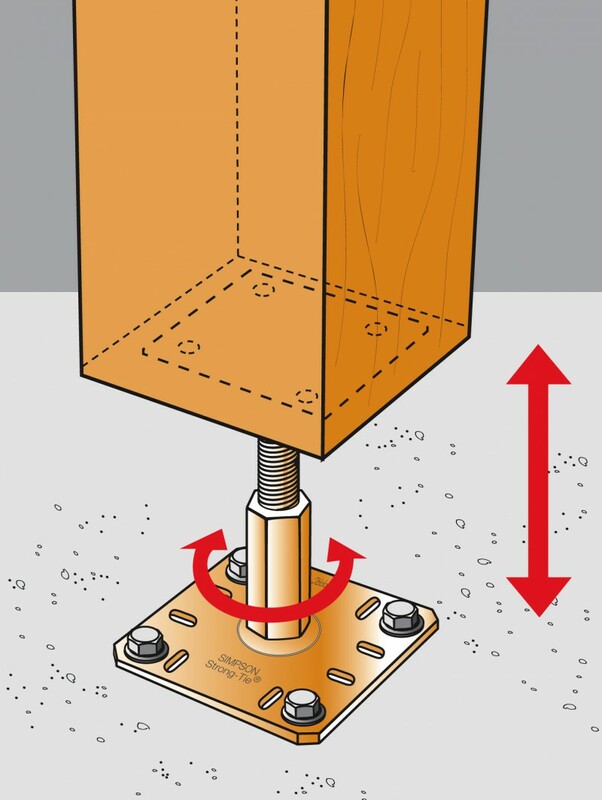 Supported member – solid wood, composite lumber, glued-laminated wood.